Mybooklet BC was directly inspired by Julia, a vibrant and funny girl with complex health challenges. Julia has many gifts and strengths. She also has a very active life in her community. 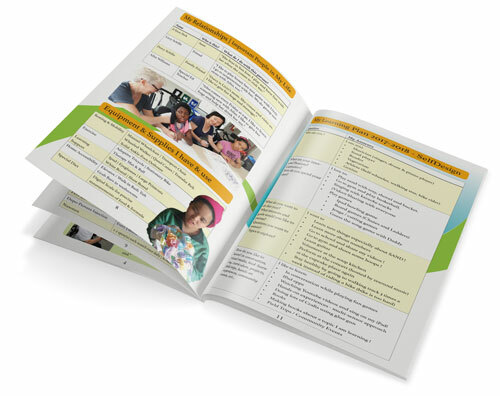 The Family Support Institute of BC collaborated with Julia's family to turn Julia's booklet into a FREE online tool. Our goal is to help, support and inspire families and people with disabilities in BC to create a person-centered plan using myBooklet BC. Julia's booklets are always about celebrating her skills and abilities and creating opportunities for her to lead a full and meaningful life in her community. We hope myBooklet BC will create opportunities for every person with disabilities in BC to have a rich life with active participation in the community, a strong sense of contribution and a social life free from isolation!